Hello Classy Clutter friends! It’s Courtney from Paperelli, where I design lots of cards, printables, and other beautiful paper-related goodies. I am always happy to be here sharing free printables with all of you and this time is no exception! 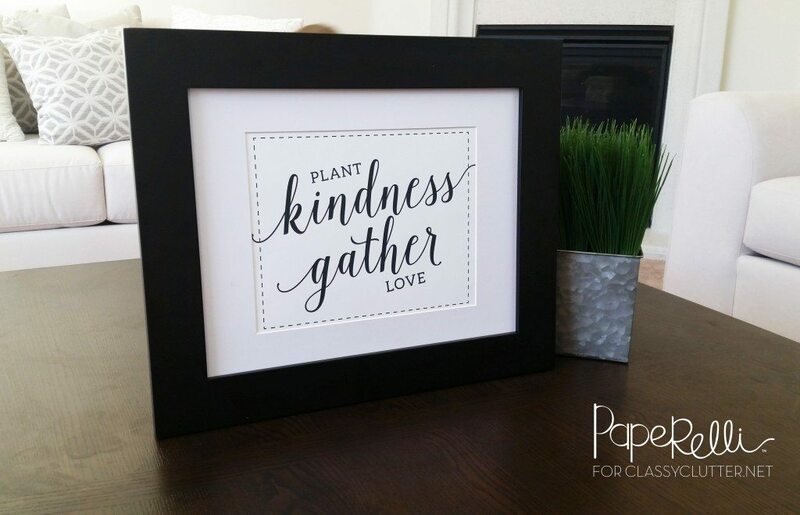 When designing this printable I had two things on my mind: Kindness and SPRING! It’s been warm and sunny here in California and I can feel that Spring is coming! While it may seem far away for some of you, Spring is totally just around the corner. It’s finally time to start thinking about all things garden, flower, and sunshine related. Yay!! 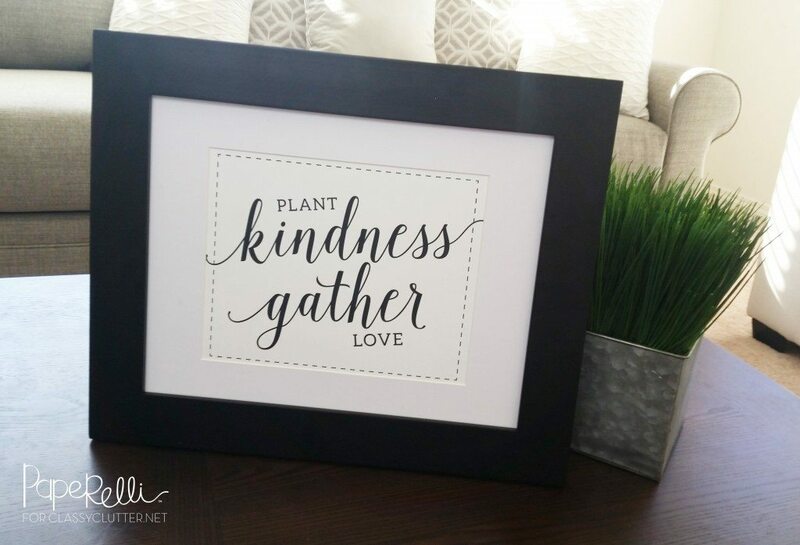 Today I am sharing this “Plant Kindness Gather Love” printable with you because I just love that quote! Don’t you? What a perfect quote for your Spring decor or anytime of the year. I love having a constant reminder in my home of how important it is to be kind. 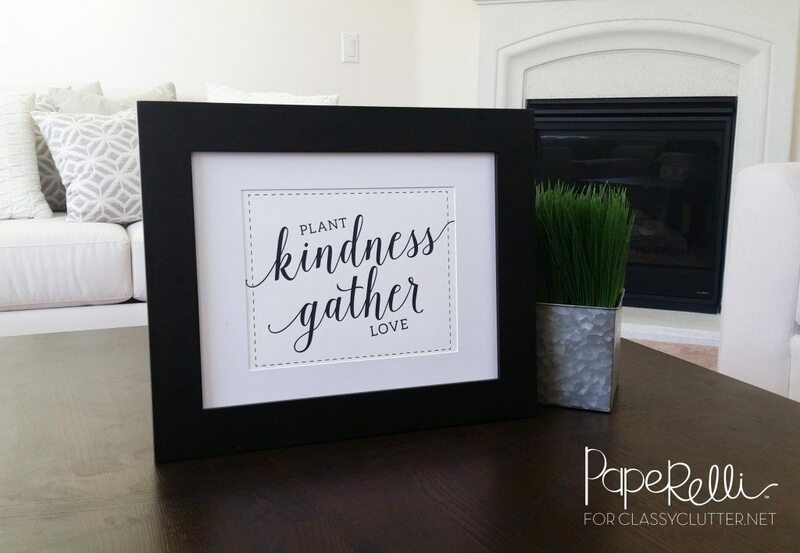 Want to add this Kindness Printable to your home decor? It’s easy! All you need to do is download, then choose your favorite! Black and white OR chalkboard. Then, print on weight cardstock and slip into your favorite frame. I always love to see what you do with your printables. So, be sure snap a picture and post using #paperelliprintables! Thank you! Glad you enjoyed it! unfortunately we do not know the name of the font, this post was designed by one of our contributors Paperelli!